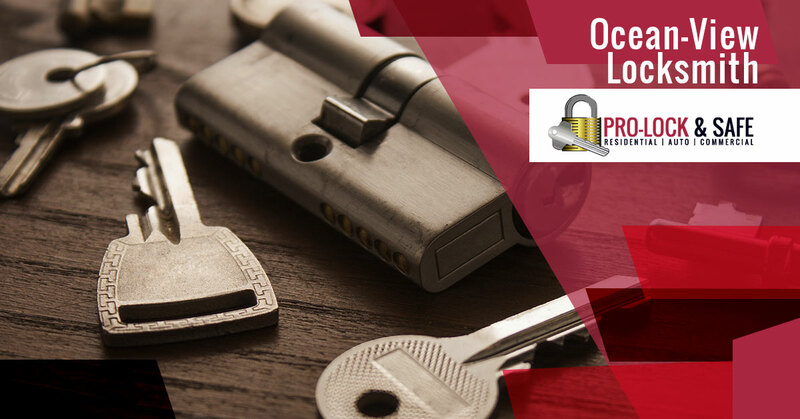 Searching for a locksmith in Ocean View? The team at Pro-Lock and Safe would be glad to help! We are just down the road in Felton, but we love when we get the opportunity to make it down to Ocean View to help a customer. Whether you need new locks for your home or you locked your keys in the car and need us to let you in, you can count on our team of experts to take great care of you. With over thirty years of industry experience under our belts, there aren’t many lock related issues that we can’t solve. As a matter of fact, when you give us a call, we’ll provide you with a free quote for the work you need done and a timeframe for our arrival so you know exactly what to expect. There’s nothing worse than getting a surprise charge at the end of a job, but we want you to know that’s not how we do things. We are licensed, bonded, and insured as well which means that you can count on us for a job well done. It’s as simple as that! Whatever your situation looks like, the team at Pro-Lock and Safe would love to make sure you get the help you need. No job is too big or too small for us, so if you need a locksmith in Ocean View, give us a call and we’ll head your way to take care of you. We pride ourselves on providing the best customer service in our industry, so if you’re in need of a locksmith, we will be here to help. Call us any time of the day or night, because if it’s your emergency, it just became our top priority.